While browsing through Pinterest do you look at the organized pantries, kitchen command centers, clean counters and think yeah I could do that!? Me too! Then I glance over and my kitchen and think wait…..maybe I can’t do that. It was even worse in our old house. A 1920’s bungalow with 4 upper kitchen cabinets and about 3 feet of counter space. The only saving grace in that kitchen was an old fashion spice cabinet. Floor to ceiling, about 3 inches deep and 12 inches wide. Every spice was displayed perfectly and easy to reach. Fast forward to this house; I have lots of cabinets and infinitely more counter space. I do remember my spice cabinet fondly as I dig through my current cabinet for a spice I think I have…somewhere. But I digress. So this week I’ve been browsing through Pinterest for kitchen command center inspiration. I need a place for a menu, grocery list, to-do list, maybe a in/out mail box. A place for all the daily items that typically end up in a pile on my counter. Here are some that I love. From Whipperberry, a menu on the side of a buffet – genius! 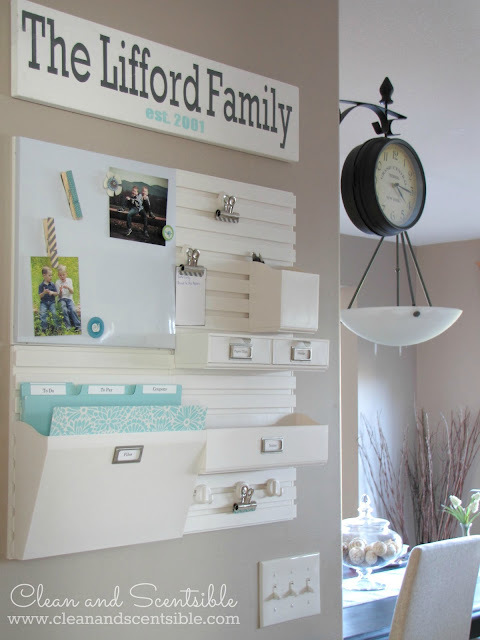 From Clean & Scentisble a place for everything with a family name plaque – love it! 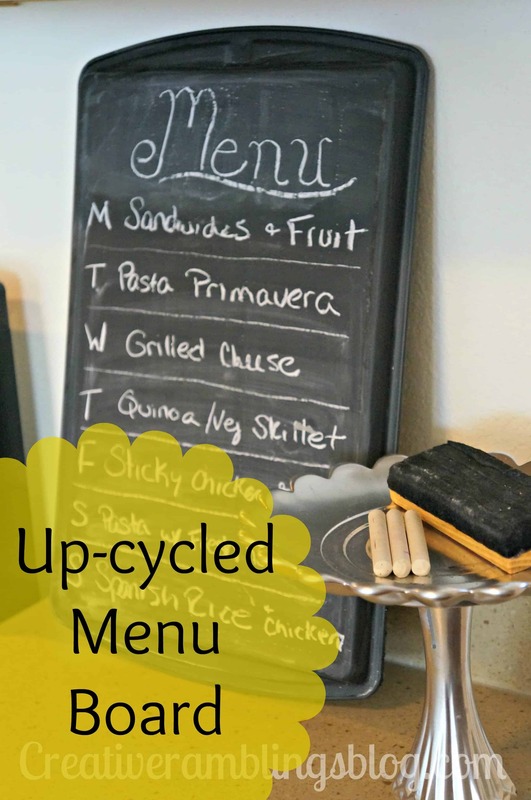 From Linda Martin, a Menu Planning Control Center. This has everything I would need to be organized and prepared for the week. From One Mile Home Style. I love how simple this project is, and it looks great. So where is my perfectly organized kitchen command center? Still in my head. I made some progress last week with a menu board and am working on a streamlined to-do list. I figure I’ll take it step by step, get all the pieces in order, then get it up on a wall. I do have a big blank one just waiting to be filled. Tell me about your kitchen? What do you want to make happen in your space?